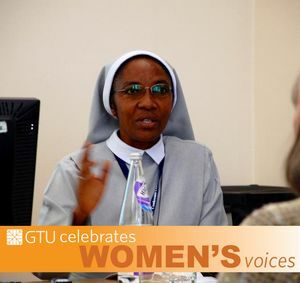 The GTU boasts one of the largest contingents of female theology students and alumnae in the country. Beginning on International Women's Day 2018 and continuing for more than six weeks, we featured a different quote from one of our alumnae each weekday on social media--and we've collected them all on this page. Thanks to all who took the time to share their stories! 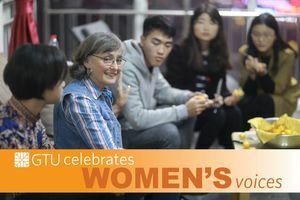 The GTU is proud of the work of all its female scholars--past, present, and future--and we look forward to seeing how you will continue to shape our world and make it a better place! "When I felt mentored by a professor? During my time at GTU, I felt mentored by many of my professors in the liturgical studies area. However, it was a very special experience to have 4 committee members for both my exams and dissertation that were extremely supportive and vital to my success as a student and professional. In particular, Dr. Jennifer Wilkins Davidson embraced me from day one as a baptist student studying liturgy. She helped me navigate my way to finding my voice as a scholar and teacher. She took time to know me, to understand my work, provided classes and resources that were important to my future, and she (along with others) provided a critical and nurturing presence as I worked to produce my scholarship, while also balancing life and family. It is experiences like this that have helped me in and after the GTU program; and she was just one of my mentors in the program." "As a doctoral student at the GTU, I was privileged to work with and be mentored by a wonderful group of women scholars from across the consortium. So moving into the world as an academic myself, it has always seemed perfectly natural to be in places where women are playing strong roles. 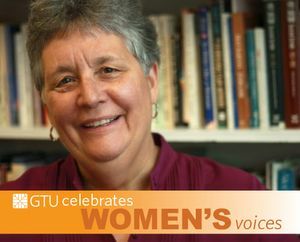 There’s no question that the GTU nurtured my feminism as well as the connections between feminism, activism, and scholarship—that’s a very important part of what I gained from the GTU. But the GTU also gave us a lot of freedom as scholars, and really empowered us to do the work each of us wanted to do. I’m quite sure I would be a very different teacher and thinker had I not had the particular graduate education I had. 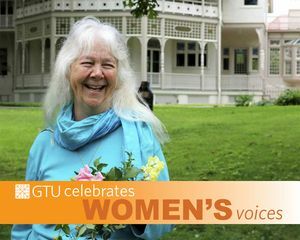 The GTU not only allowed me, or even just encouraged me, but forced me to find my own path and to discover my own vision and voice. That’s something I have never stopped doing, and I’m so grateful." 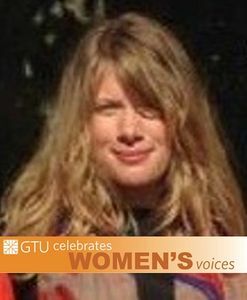 "The GTU has had a profound effect on my teaching and thinking. The ability to share in such diverse liturgies, courses and other learning experiences was one of the great joys of my educational life. Life on "Holy Hill" was one of fortuitous encounters leading to great evenings of conversation, dance and shared meals. The experience has left me with a desire to teach for social justice, to work in an interdisciplinary manner, and to educate students in the way I was educated." 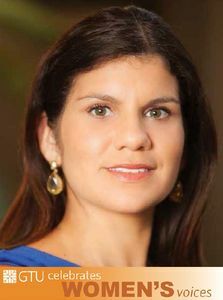 "I came to the GTU in a huge part to work with Alex Garcia Rivera, who…continues to shape how I think intellectually. But the sense of community, not only among my fellow students, but also the community that the administration and faculty created, was very special. As Assistant Provost, I think back to my Academic Dean at the GTU, Margaret Miles. She was a great role model by being a gracious and powerful committed leader of the institution. When I think about how my experiences at the GTU shaped who I am today, two things stand out to me. The first is the interdisciplinarity of the program. Second, it's the sense--and this is embedded in the actual structure of the GTU and its intellectual life--that you can be unapologetically grounded in your tradition, but open to dialogue with other traditions." "Having the chance to be a member of the Women’s Studies in Religion steering committee at the GTU added so much to my graduate studies. I was given the opportunity for a leadership position to be a voice for other women attending the GTU and for my own direct experience as a Catholic, second-generation Filipinx-American. Being a member of the steering committee allowed me to meet and collaborate with other women from the GTU outside of my school of affiliation. It was an extremely nourishing experience to be with other likeminded women with different faith and academic concentrations. We were able to organize a Latina theologian panel conversation to further lift up women theologians from the intersections of race, gender and class. 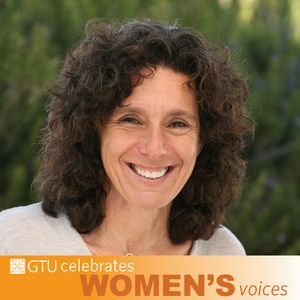 The learning environment available at the GTU was formative to how I shape my classroom learning environment as a collaborative, safe and affirming space for all." "I entered GTU in 1973 to study Augustine of Hippo. My adviser was Professor Matthew Massey at CDSP. At the time I was teaching at a community college three days a week in Sonora, California, and commuting to Berkeley for classes and books, 141 miles each way, twice a week. Because I was unable to attend daily language classes, Professor Shepherd most generously agreed to teach me Latin in a tutorial. I graduated in 1977 with a doctorate in History, and a specialization in Augustine and Late Antiquity. CDSP allowed me to continue to be a Teaching Fellow for the year it took to find a position. My first job was at the Harvard Divinity School, where I taught for eighteen years. I was awarded tenure and and became Bussey Professor of Theology in 1985. In 1996 I returned to GTU as Dean and Vice President, where I served until my retirement in 2002. 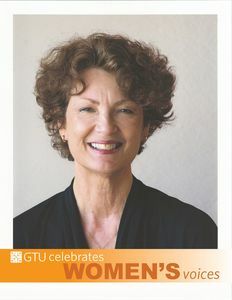 I am immensely grateful for my GTU experience both as student and Dean." 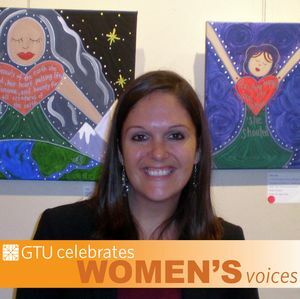 "What stands out most for me from my time at the GTU was the community and support for learning. I had excellent ethics professors who mentored me and who continue to be close colleagues today. Even more important were my fellow student colleagues. We had study groups together, shared notes on the readings for comprehensive exams, and encouraged one another in our dissertation writing. There was a sense of cooperation and camaraderie, not competition (even when we were all applying for jobs). 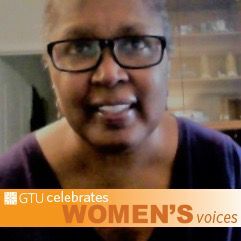 The GTU helped me to thrive academically while also supporting my physical and emotional health." "I had wanted to be an archae- ologist since early childhood. There are very few ways to get started in the field. In my first year in the Ph.D. program 1969-70, I signed up for Fr. John Huesman’s course on Biblical Archaeology. After the first class, I told him that I was really interested in any opportunity to participate in an excavation, thinking I might get a brochure or two. He was working with the U. of Pennsylvania excavation at the Biblical site of Sarepta in Lebanon, and he had available a Ford Foundation Fellowship to pay the expenses of a student to participate. The person he had originally chosen dropped out at the last minute. I was in the right place at the right time! I went to Sarepta and then went on to work at Tyre in Lebanon, Cyprus, Egypt, Crete, and Petra in Jordan. Fr. Huesman mentored me until the time of his death in 2002. I am now finishing up the Petra publications. I’ve had a great run! Thank you to GTU." 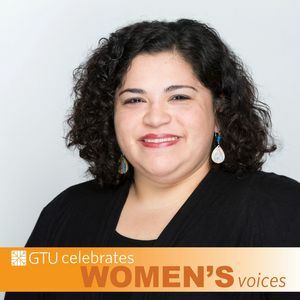 "My learning at the GTU was shaped not only by my academic mentors but also by my co-workers in the Student Services office and friends and colleagues from across the consortium. One story stands out: During the week preceding my oral comprehensive exams, a colleague from PSR noticed my stress levels rising and offered to give me a blessing just before the start of my exam. More than anything, her generosity and calm presence assured me I was in the right place. I successfully defended my work, and the experience became a touchstone for me as I moved on to writing my dissertation." 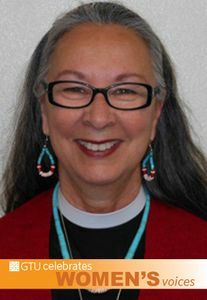 "Studying at CDSP and then the GTU not only challenged me but prepared me for the challenge of being a Native American woman ordained in the Episcopal Church. I am specifically grateful for the diversity of voices and theologies I found through the GTU. Classes at the Franciscan and Jesuit school in particular affirmed my identity and helped me define my understandings, theology and spirituality. The fact that I have been able to write and publish in theological journals, written, reflected and published in several books on prayer and my service to the church as Canon for Native American Ministry here in Arizona (after having served in Northern California and Los Angeles) could not have happened without these academic and spiritual experiences." 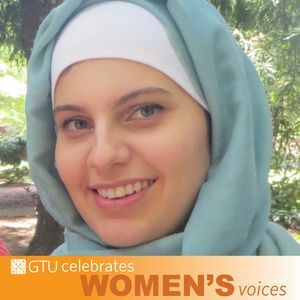 "As part of the GTU community, I encountered people with all kinds of religious backgrounds and commitments, and with all kinds of perspectives on meaning, truth, love, and faith. It was the unique experience of taking classes with and from this broad spectrum of learners and seekers—perhaps more than any of the (rigorous and important!) content of the classes—that shaped me into the kind of teacher I wanted to be. Now, when I am faced with a classroom full of diverse undergraduates, trying to teach them something about the Bible, world religions, or theology, I draw on those formative GTU classroom experiences and strive to make my own classroom as welcoming and open to the surprising revelation of the other as possible." 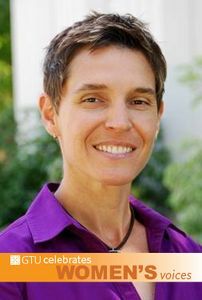 "My GTU studies began with my MDiv at SFTS, concentrating in Christian Spirituality under the leadership of Dr. Elizabeth Liebert. I concurrently enrolled in the Diploma in the Art of Spiritual Direction, which played a significant role in my formation as a contemplative. These programs fostered within me a desire for broader, deeper and more diverse learning of contemplative history and practices. Discerning future PhD studies, I enrolled in the GTU MA program to study religion and psychology. This focus would assist my formation in ordained ministry. The scholar within was affirmed in the preparation and defense of my Master’s thesis. Drs. 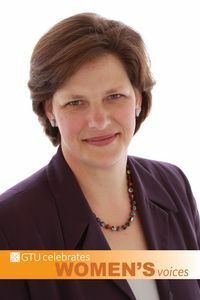 Sullender and Liebert provided valuable guidance and support that would help in discerning my next steps." "I am forever grateful to GTU for serving as a crucial stepping stone into doctoral work at arguably the best graduate program in the country for Hebrew Bible -- Emory University. The mentoring I received was personal, caring, and committed. So much so that I dedicated my first book to Barbara Green and Robert Coote. Both of them took the raw material of my passion and intellect and molded it into something directed and skillful. They saw more in me than I did, and more than the evidence allowed, really. I have gone on to teach at one of the top liberal arts colleges in the country. I was just promoted to full professor at Colby College and now serve as the Associate Provost for Faculty Development and Diversity there." 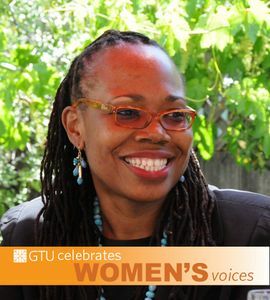 "My time at GTU was vital in my develop- ment as a queer feminist scholar, author, and artist. Serving as the Program Coordinator for the Women’s Studies in Religion Program was a beautiful way to ground my theoretical research in lived, practical realities. Professors and colleagues alike embodied intersectional feminism inside and outside the classroom in ways that inspired and empowered me to do likewise. In particular, I will always be grateful for the mentorship Andrea Beiler provided when offering me the opportunity to teach alongside her for four years." "I loved everything about my experience at the GTU. I was fortunate enough to work in the Dean's Office while Margaret Miles was dean, and I learned so much from her. I was in awe of her, frankly, and to watch her exercise her authority in a way that was authentic to who she was as a woman and a scholar was amazing. I also was blessed to have a small group of female colleagues who became good friends as we accompanied each other through the program; we encouraged and challenged each other and grew into scholars in our own right together." "I deeply appreciate that professors at the GTU welcomed discussions of spirituality and religious community in our classrooms while still holding us to high academic standards. These experiences directly inform my work today. I assist Christians in finding new spiritual expressions while remaining grounded in their own Christian roots – providing scholarly resources for them at the same time. In my scholarship on gender identity and the New Testament, I start first with personal experiences and the spirituality of transgender Christians – and this stems directly from the pedagogy I learned at the GTU." "The GTU is at a great historical moment. People all over the world are hungering for deeper truths about the impact of religion at a time when turmoil and conflict reign supreme. I believe there is a new era unfolding, especially for Muslims who have by and large been excluded as viable and valid voices in Western academia. I have a feeling that Holy Hill in general and the GTU in specific will play a very positive role in changing that experience." 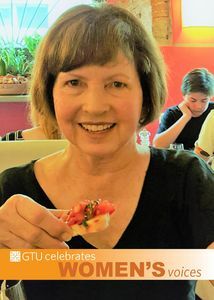 "In my 50s, I found myself -- a married grandma, retired military officer, Republican, and evangelical pastor -- at the GTU, and affiliated with the Franciscan School of Theology. Usually, my colleagues and I were cut from the same cloth, but suddenly I was on the minority side of every demographic. Then, the American Academy of Religion put out a call for papers and one of the topics was diversity in the university. Although unwilling to present, I agreed to put together a panel and three people accepted my invitation to participate: GTU's academic dean, one of my professors, and a friendly PhD student. Their support was an amazing gift." "I had the great fortune to be at GTU in the 70s. Women’s issues were new, LGBTIQ concerns were unheard of, and interreligious work was beginning to blossom. Few faculty then were experts on these topics, but most would not stand in the way of self-starting students. We learned together. After my comps, I realized people were taking me seriously as a theologian. How little I knew in a vast field! I just wanted to take more classes. I keep reading and studying especially in the field of feminist studies in religion, still drawing deep delight from it." 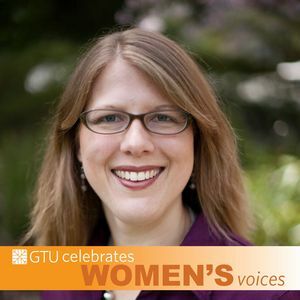 "It was through women scholars here at the GTU—both professors and student colleagues—that I came to trust my voice and the need for it in theological discourse and the classroom. 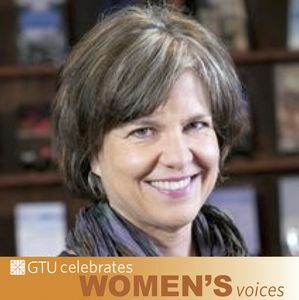 I was able to find my own voice in part because of the faithfulness of women faculty who developed the Women’s Studies in Religion certificate program in order to cultivate and encourage women scholars at the GTU. It is never easy or natural for institutions to cultivate life-giving spaces for women. So we must remain intentionally committed to those places where women’s work, lives, and voices are valued and allowed to thrive. The Graduate Theological Union is such a space—and that’s all too rare in religious scholarship. And we dare not take it for granted." "I felt supported by the GTU throughout my formation in theological aesthetics. One time in particular was while preparing for a dissertation research trip to Rome, Naples, and Florence. My mentors and colleagues from the GTU and UC Berkeley encouraged me to apply for study at the Vatican Library and the Archivio di Stato, Rome. They wrote the recommendation letters I hand delivered to the administrators at my destinations. As an African American woman new to scholarship on an international scope, I was heartened by the respect shown for my work both in Italy and in Berkeley." 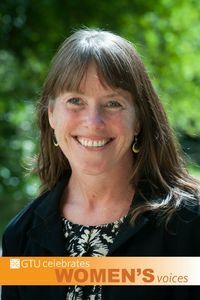 "At the Center for Jewish Studies at the GTU, I had the opportunity to learn from remarkable, visionary scholars in Jewish history, thought, and mysticism. But the generosity of their spirits and their view of themselves as lifelong learners allowed us to truly learn together. I was stretched intellectually and spiritually, and I was able to bring my wisdom and life experience to the learning of others around me. We were truly a learning community. 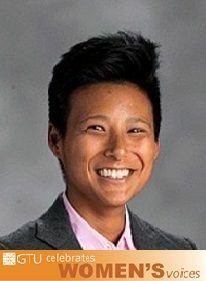 My presence was received as an opportunity for deeper learning and understanding; I was Jewish, Colombian, gay, and left-handed--all welcome characteristics in our learning community." 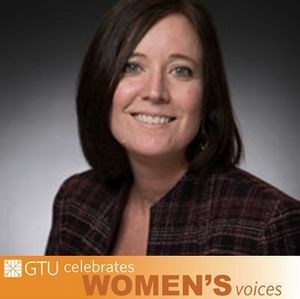 "My experience at the GTU was shaped by the strong women I learned from -- both within and outside of the classroom, including both faculty and peers. They inspired me to envision a bolder future for myself. The challenges I witnessed them face as women in a male-dominated church prepared me. Their strength and resolve in the face of those challenges gave me role models. 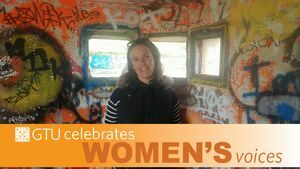 Following my time at the GTU, I worked with community-based organizations that address violence against women, earned my doctorate in community psychology, started my own consulting firm, and was elected to public office. 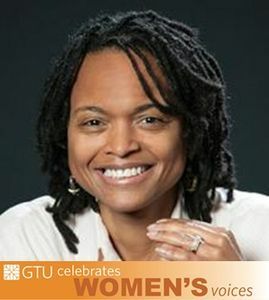 Studying at the GTU, and the inspiration of the many women I met there, was formative to those accomplishments." 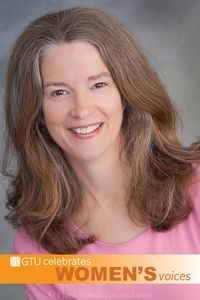 "The openness to interdisciplinary scholarship at the GTU enabled me to combine my interest in philosophical/ theological/ religious issues and my love of the arts, particularly poetry; which, in turn, became the basis for my dissertation, A Music of Grace: The Sacred in Contemporary American Poetry. The interdisciplinary doctorate made me a good fit for a position at Saint Mary’s College of California, where I taught for many years and am now Professor Emerita. I am forever grateful for the mentorship of Professor James Luguri, who provided an inspiring model for the interdisciplinary path I chose to take." 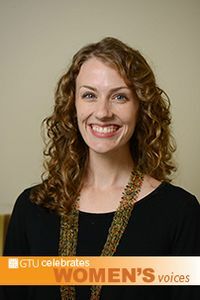 "As I was preparing to speak on the readings for the third Sunday Lent for Catholic Women Preach, an innovative project for church renewal, I was aware how blessed I was to have had six fine teachers at the GTU who mentored me in preaching, especially Dr. Edwina Hunter Snyder. She gave me confidence that women’s voices belong in the church. 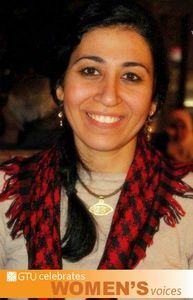 This led into a dissertation project of sharing first-person stories of biblical women with over 10,000 people and led me closer to the compassionate Holy One whose wide arms reach out to embrace all." 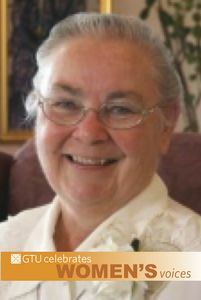 "I am a member of the religious community of the Sisters of Mercy and in 1966 began graduate studies in theology in order to teach at our college for Sisters. After three years in a seminary in Canada as the first woman to study there, I transferred to the GTU, associated with the Franciscan School of Theology in the area of philosophical theology. I found myself to be the only woman in that program too! To tell the truth it was quite lonely. My theology classes were quite good, and especially challenging were the philosophy courses I took at UC Berkeley during the wild times of the late 60’s and early 70’s!" "The GTU gave me a voice with which to celebrate the LORD, who ‘fills the hungry with good things' (Luke 1:53a). The GTU's generous financial aid made a huge difference in the outcome of my studies. I remember in particular my academic mentors’ warm and generous reception of my Oral Comps, after that encounter, I began to feel, yes, I have crossed the bar, a scholar! Indeed, a grounding in interdisciplinary scholarship, gave me a firm footing in the New Testament with which I continue to pursue the liberative message of Scripture, particularly for women, in my writing and work toward human flourishing. I currently teach New Testament Studies at University of Port Harcourt, Nigeria, and have research interests in gender hermeneutics. 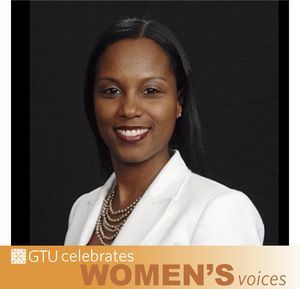 "In the Fall of 2013, I embarked on two journeys: I started my academic career at GTU and I became a mother. Despite the challenges posed by learning to be a scholar while also learning to be a mother, I have found in GTU a home far away from my original home in Cairo, Egypt. From the first day I set out as an M.A. student in Islamic Studies at the Center for Islamic Studies to this moment as I begin my PhD journey, the continuous support by staff and faculty have indeed propelled me to think of my career in a different way. Before joining GTU, I never thought I would be interested in teaching, now my vision is geared towards that goal." 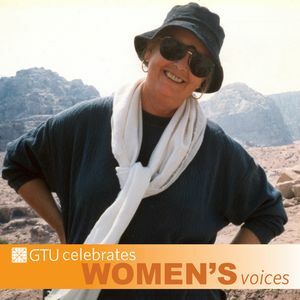 "I began my studies at GTU in 1991 – only 20 years after the first female rabbi was ordained. This was a time when female rabbis and cantors were still very controversial in the Jewish world. My professors at GTU, both male and female, were never anything but extremely supportive – even my one professor who was an Orthodox rabbi! After my ordination in 2003, I returned to GTU in a doctoral program at SFTS, where I received the same support. 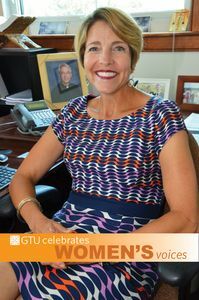 In short, no one at GTU ever told me I couldn’t fulfill my calling; in fact, everyone, professors and staff alike, did all they could to encourage me!"